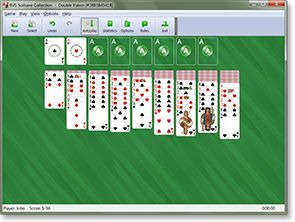 This solitaire uses two decks (104 cards). You have 9 tableau piles with the number of face-down cards per pile increasing from one to nine from left to right. Then 3 cards are dealt face up to the first tableau pile. 7 additional cards are dealt face up to the each of the eight piles on the right. You have 8 foundations. You may build tableau piles down in sequence and alternating color. Groups of cards can be moved regardless of any sequence. Any card face up in the tableau can be moved to make a build. All the cards covering it are moved together as a unit. Empty tableaus may be filled with a King or group of cards headed by a King. 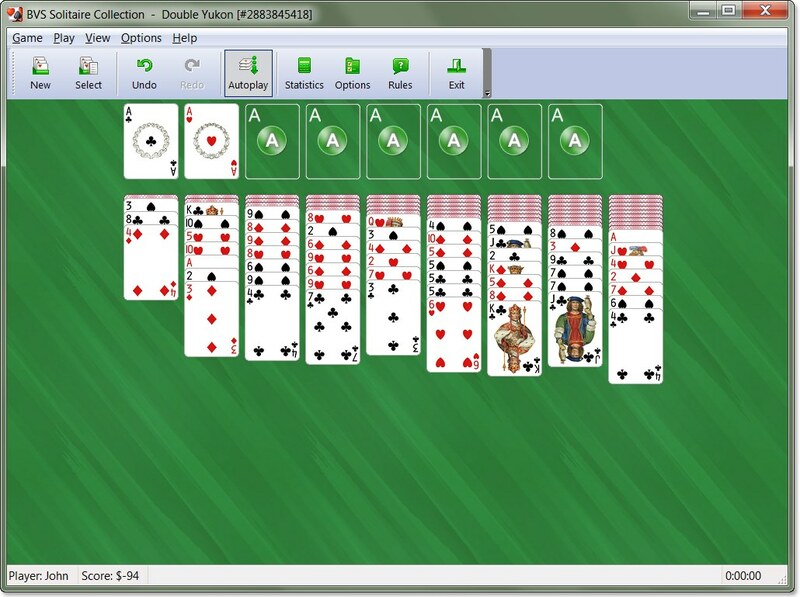 Double Yukon is the two deck version of Yukon Solitaire.